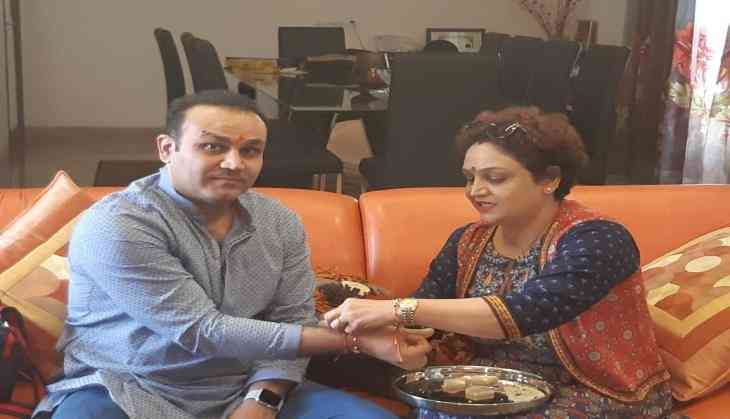 Indian former cricketer Virender Sehwag was on a different plane and decided to celebrate in his own style ahead of the country’s auspicious festival of Raksha Bandhan. Virender Sehwag believes that Virat Kohli will break the Tendulkar's record of 100 international tons. Virender Sehwag cited that “He (Kohli) can do it as he has the talent and the hunger required to achieve these milestones. It becomes clear after you see the way he prepares and focuses on each match disregarding whatever happened in the previous one", as quoted in Times Now.